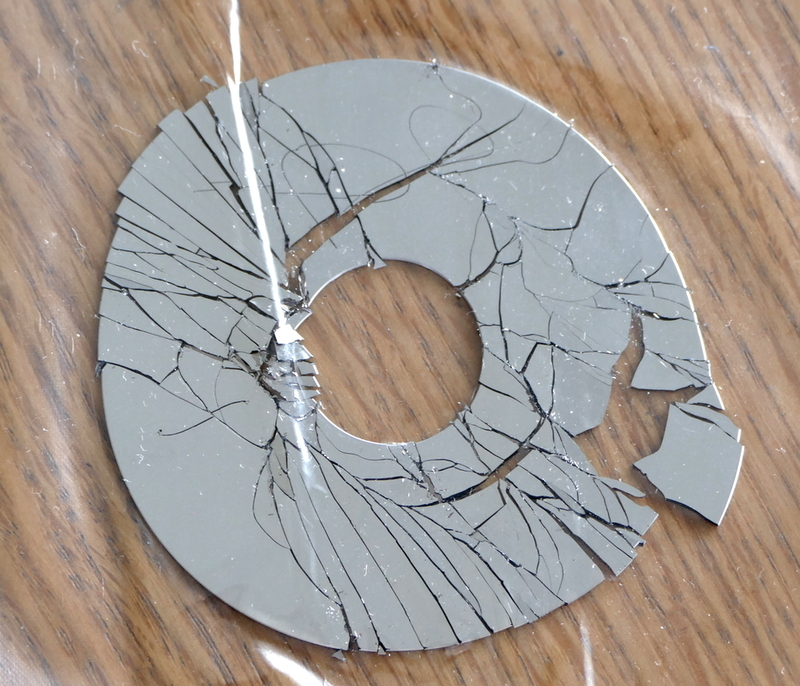 Platter from an IBM Travelstar 6GB 2.5" hard drive. I've told people in the past that I'd encountered glass hard drive platters, and they seemed skeptical (I don't blame them). They're not common, and the industry may have moved away from them entirely at this point. But I think we can all agree that that's not metal? It's in a ziplock bag because breaking glass with your bare hands isn't a good idea (and causes shards to fly all over).